If you have the patience to sit all the way through the end of a movie’s credit (maybe waiting for a little post-credit Easter egg scene), you’ve probably noticed the disclaimer at the end: This is a work of fiction. Any similarity to actual persons, living or dead, or actual events, is purely coincidental. Where did that come from and why do they need to put it on the end of obviously fictitious films like Finding Dory or Star Wars? The answer lies, surprisingly with the famous Russian mystic Grigori Rasputin. 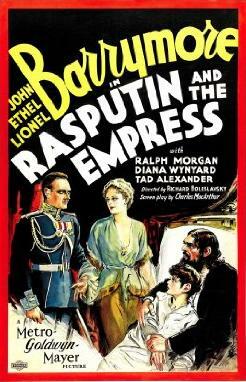 The Slate article goes on to detail the MGM production in question Rasputin and the Empress and how the exiled Russian Prince Felix Youssoupoff sued them for defamation. Eventually, MGM had to pay up to his wife and take the film out of circulation to purge the offending scene. The landmark case made the film industry overly cautious and now some form of the “fiction” disclaimer appears at the end of most films. It’s truly a fascinating story. Get all the details at Slate and check out Prince Felix Youssoupoff’s memoir Lost Splendor: The Amazing Memoirs of the Man Who Killed Rasputin.